Home » Android , news » Redmi 5 launch date just got confirmed it will be available on Feb. 2018. 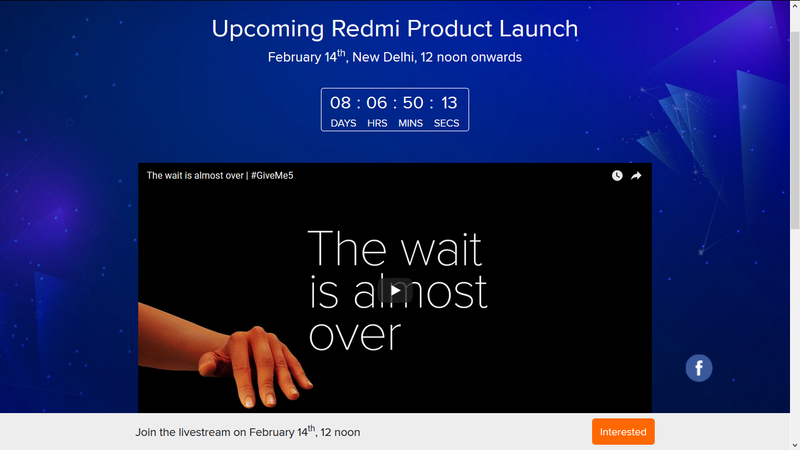 Redmi 5 launch date just got confirmed it will be available on Feb. 2018. We are all aware of how Xiaomi is one of the most pleasing value for money device out there, at least for indian market people has started switching from big brands to Xiaomi. 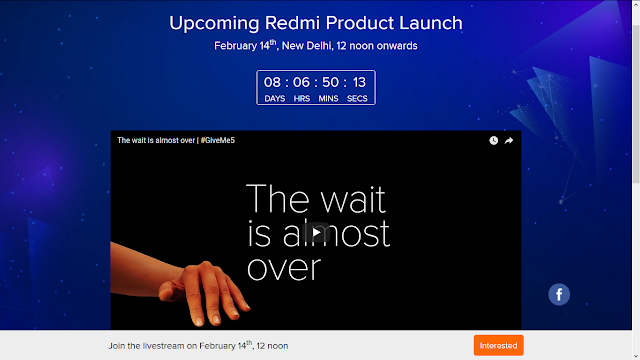 Xiaomi will launch the Redmi 5 in India on 14 February 2018. Redmi device was launched in 'Mainland China' in December 2017 with Gold, Light Blue, Rose Gold and Black color variants, with the 2 GB RAM variant priced at INR 8100 (CNY799) and the 3GB RAM variant priced at INR 9100 (CNY899). Last December,a 3rd 4Gigs RAM variant was also launched at a price of INR 11200 (CNY1099). The Redmi 5 + (Plus) 3 GB RAM variant is out for INR10200 (CNY999) in Mainland China, and the 4 GB RAM variant is sold for INR 13200 (CNY1299). Availability and pricing details for India are currently not available.They will confirm both at the launch event. The Redmi 5 and Redmi 5 Plus are dual-SIM (Nano) smartphones that run MIUI 9 on top of Android Nougat. The Redmi 5 sports a 5.7-inch HD+ (720x1440 pixels) display, while the Redmi 5 Plus sports a 5.99-inch full-HD+ (1080x2160 pixels) - both with an 18:9 aspect ratio display. The former is powered by a Qualcomm Snapdragon 450 SoC, coupled with 2GB/ 3GB/ 4GB RAM and 16GB/ 32GB inbuilt storage. The Redmi 5 Plus is powered by a Snapdragon 625 SoC, coupled with 3GB/ 4GB and 32GB/ 64GB of inbuilt storage. Redmi 5 got 3300mAh battery and Redmi 5 Plus has 4000mAh battery capacity.